One thing is true for sure, what the vaccine aware movement has been doing up to now has not solved the problem. We did not successfully nullify the herd immunity myth or discredit the CDC; we did not stop the move to eliminate all vaccine exemptions; and we were unable to prevent folks from being coerced into accepting vaccines to keep their jobs. The drug industry, their partners in so-called government and the media currently control the debate regarding vaccine efficacy and safety. This is why the vaccine zealot (bullshitter*) Paul Offit is always invited to be the pro-vaccine spokesman and restrict the vaccine debate. So far, those who know that vaccines are neither safe NOR effective have been unwilling and/or unable to re-frame this debate – with some admirable exceptions. This stalemate has been ongoing for decades. In fact according to reports coming in, physicians are now being threatened with the loss of the licenses if they speak against vaccines. The intention is to remove knowledgeable physicians from the debate completely. Sorry to be so blunt, but no one can afford to remain naive. 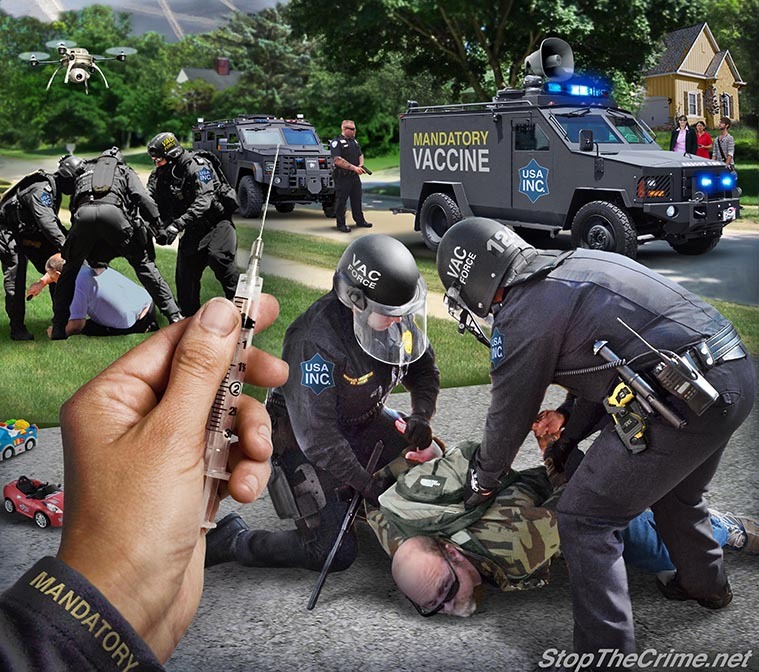 Veteran medical researcher and journalist Jon Rappoport explains what the vaccine aware community needs to do to try to stave off what is growing into a medical tyranny (recently exposed by Dr Tenpenny on InfoWars) that will affect us all. Vaccine Rights Attorney Alan Phillips will not expose the truth about the lethality of vaccines or our fictitious government in his exemption paperwork. He will continue to lie to the people who seek his help. With the Adult Immunization Plan now moving into place, the stakes are too high to tolerate any more profiteering or deception from either attorneys or self-serving non-profits. • Corporations are not and can never be sovereign governments because they are legal “fictions” They only exist on paper. The only myth greater than the “vaccine myth”, is that our corporate government has the authority to make us do anything . . . without our consent. Unless we vigorously expose the toxic nature of vaccines and learn how to deny our consent, it will be presumed that we are OK with this insanity. Two ways to do this is to a) circulate Ten Little Known Facts about the vaccination program in the United States and b) deny our consent in writing via Vaccination Notice (pgs 29-34). * Excerpt from Will this Doctor Hurt Your Baby? We all know that children learn what they live, which is what Paul Offit has obviously done. But what most people don’t know is that the media, which promotes him, has no obligation to be truthful and cannot be sued for lying, either unintentionally or intentionally. Promoting “bullshitters” in the media is something done on a daily basis.